Residential Carpet & Upholstery Cleaning Specialists Since 1982! Since 1982, American Carpet Cleaning has provided homeowners throughout Delavan, WI with professional carpet and upholstery cleaning. Our proven methods, high-grade equipment and years of expertise enable us to restore the cleanliness of your home’s surfaces, eliminating stains, discoloration, odors and wear. Contact us for a free estimate today, and experience the deepest level of cleanliness in your living space! Even if you clean your home regularly or run a vacuum over your carpets every day, it’s not always enough to stop debris from building up. Over time, your carpets become a hotbed for everything from dirt and dust to allergens and pathogens. The smartest thing you can do for your home and your health is to invest in professional carpet cleaning in Delavan, WI. At American Carpet Cleaning, we have the experience and equipment needed to restore your carpets to a superior level of cleanliness. Our truck-mounted extraction vacs pull soil from deep within the carpet, restoring the look and feel of your floors, while eliminating stains, odors and deterioration. We do what no vacuum can! In addition to our deep carpet cleaning services in Delavan, WI, we’re also available for upholstery and rug cleaning. 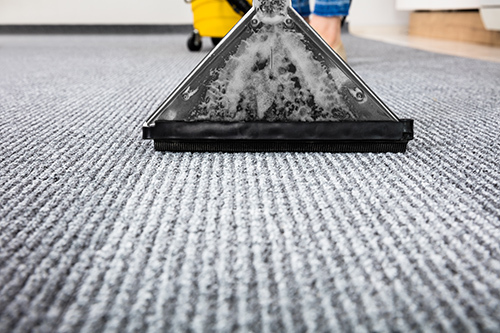 These materials are prone to the same buildups and degradation as carpets, and we deploy our expert cleaning knowledge to ensure they’re given the same level of attention. Our cleaning services help keep your home looking and feeling great, while extending the life and comfort of the surfaces we work on. Don’t let your best cleaning efforts go to waste—supplement them with our deep cleaning capabilities! We’re ready to deliver an unparalleled level of cleanliness to your home, and we can work around your schedule. Contact us today. Our business is locally-owned and family-operated, with over 35 years of experience! We offer free estimates on all of our services, to ensure you know exactly what you’re getting upfront. We offer convenient scheduling around a time that’s right for you. Our truck-mounted extraction cleaners are unparalleled, leaving behind the cleanest possible results! We utilize Scotchgard™ protective treatments to ensure lasting results. Dirt and debris building up in your carpets? Odors and stains blemishing your upholstery? Call us for the deepest, most thorough cleaning to restore the look, feel and smell of your surfaces.